Planning to launch your own online marketplace for customized beauty products? The online market is another market place that can be considered parallel to the offline commercial market. With businesses going online, the beauty salons and spa needs to give importance to their online presence as well. Beauty spa and salons are often time consuming and requires a lot of waiting time, before the customers can get their beauty treatment. Online market place for the customized beauty products and treatments provide the following advantages to the parlour and spa. 1. Reduce the customer wait time: One of the major headaches of the customers at a parlour or salon is the long queue and waiting time. This could be changed into the greatest advantages with being online. The app helps the customers to book a slot and appointment with beauticians and choose their favourite regime or treatment as well as customize them. This will help the salon manage the customers well, along with reducing the wait time of the customers. 2. Showcase your products and services: Having only offline presence will showcase your products and services to your local customers. But with the online salon appointment booking app, you can showcase the products, services and treatments that you offer to your customers. This will help you to reach global customers and tell them about what you have to offer. 3. Introduce loyalty points and programs: Online presence of salon and spa encourages the parlour users to use the app as they can gather loyalty points and redeem them with huge discounts and offers. Using the mobile app, the beauty salon is able to introduce loyalty programs for regular users, and offer them high discounts on the services they opt for. With the advent of niche technology the world has witnessed the rise of the on-demand delivery apps in various business sectors. Be it on-demand food delivery, grocery delivery or spa appointment booking system, the face of business has been changing with these on-demand apps. Its time for you too, to think seriously about the building your own online delivery app. The demand for food ordering software has been rising day by day, with the popularity of the existing on- demand ordering and delivery systems. The popularity of these on-demand apps have been rising in every sector of business, be it food delivery, parcel delivery, grocery delivery or spa appointment booking. 1. Global presence: On-demand delivery apps help the start-up companies to get get presence. The customers are able to place their order according to their convenience and customers beyond the local ones are informed about the brand. 2. Improve in brand value: The brand value of your start-up increases with building your on-demand app. You get a brand recognition, by building your own online ordering software. 3. Ease of ordering: The app will help the customers in easy and hassle-free ordering and checkout easily with easy payment options. 4. 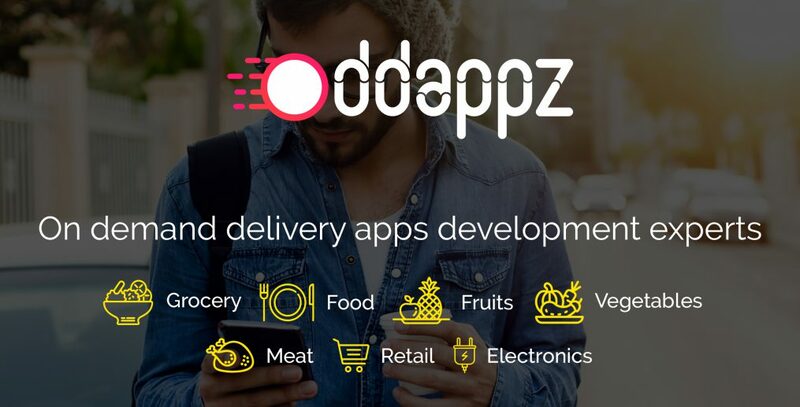 On-demand and customer friendly: The apps are customer friendly and on-demand, thus helping to place order, as and when needed, along with mentioning the preferred delivery time of the customers. There are a lot of on-demand delivery app builders and companies in the market offering on-demand ordering and delivery software. However, it is important to choose effectively among the available app builders, to ensure effectiveness and success. The restaurant market is always in demand and hardly faces hard times or recessions. This is a highly competitive place, with new restaurants being opened every day. In order to survive in such high competition, innovative as well as proven marketing ideas need to be implemented. 1. Get a mobile app: One of the best and proven methods of marketing your restaurant is to launch a mobile app, and promote it to the customers, so that they can use it even more often. 2. Introduce loyalty programs: Loyalty programs are important and beneficial for the loyal customers. They are able to collect points and get high discounts and offers on their next orders. This is useful as a marketing strategy as many customers will use the mobile apps, in order to get the discounts. 3. Post attractive pictures of food: Attractive pictures of food, is often mouthwatering and attracts customers. Make sure that your website, app, advertisement is full of mouthwatering food. 4. Be active on social media: Social media is one of the best advertising platforms in today’s world. Use them to promote your restaurant and enhance your business. This will also increase your customer base and make your brand a popular one. 5. Incorporate innovation: Do something innovative like using Robot chefs or robot waiters, or drone delivery. This will attract a huge number of customers, who would like to have that experience. This will help as a marketing strategy. 6. Word of mouth: One of the most powerful marketing tools is the word-of-mouth. Ensure to satisfy your customers and give them an unique experience. They in-turn will use the word-of-mouth and work as a marketing tool. These are some of the tips and tricks that will help your restaurant business to grow. Spa and Beauty parlours are often a woman’s best friend. With the increased fashion consciousness among the people, men are also seen to visit the parlours and salons for a quick touch up or a relaxing spa. However, with the increase in the busy lives of the people, waiting at a spa or salon for long, is simply not possible. Moreover, increase in the wait-time for the spas might lead the customers choose a different parlour, where they have to wait less. In order to cope up with the changes in the lifestyle, an online spa appointment booking app is inevitable. In order to attract more customers to your spa and give your customers a hassle-free beauty regime, deploy on-demand salon and spa booking app. This salon and spa delivery app will help your customers browse through the wide range of nearby salons and spas as well as browse through the services that are offered by them and book an appointment with the parlour at their convenient time. The customers are able to choose their favourite beautician and then fix an appointment with them. The customers are also able to see the beauty treatments and regimes that your salon and spa will provide to them. They can plan their beauty regime according to the offered services and availability of the beauticians. They can choose their convenient time slot and check the availability of the beautician on that particular slot. They can also redeem their promotional codes and offers using the online salon store that you will provide to your customers. Building your online salon app will help your customers to choose the payment as per their convenience. Give a face-lift and make-over to your spa business and get your stylebee clone app today. Enjoy increase in popularity of your business and attract more customers.